Super excited to be visiting here at brown paper packages today. I am such a fan of Kierste! She is really the sweetest person in the world, and UBER-talented to boot! 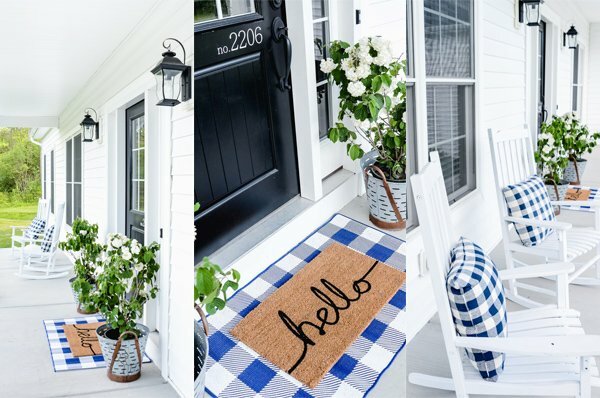 My name is Kim and I blog over at seven thirty three. 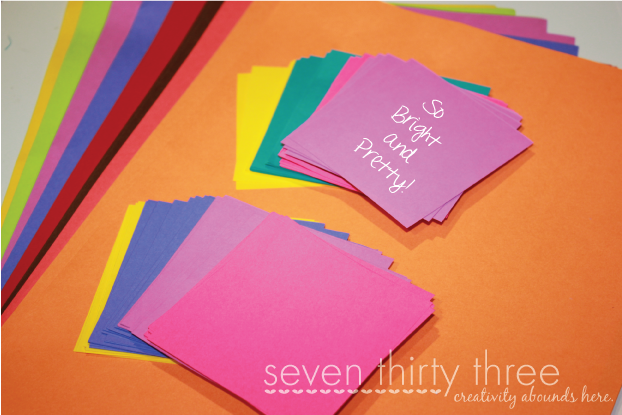 I love to share party ideas, free printables and general crafty fun. I also offer blog design, in fact I did the design for brown paper packages. If you’re in the market for a new design, stop on by seven thirty three – – – custom blog design. I’d love to help you out! 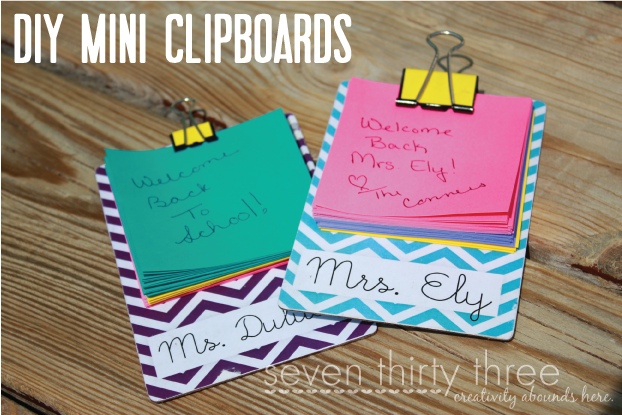 Today I am going to show you how to make a mini-clipboard to hold little notepaper or sticky pads – these are perfect teacher gifts. My day job is a Marketing Director for an Office Furniture dealer and we have a constant supply of fabric and finish swatches. I was going through our library and was cleaning out the obsolete product when I noticed that some of the finish samples looked like they would make perfect mini-clipboards so I set a few aside. If you don’t have access to finish samples, no worries! Chipboard would work perfectly as well – look at some old notebooks- I bet you could cut the perfect shape from one of the back chipboard covers. 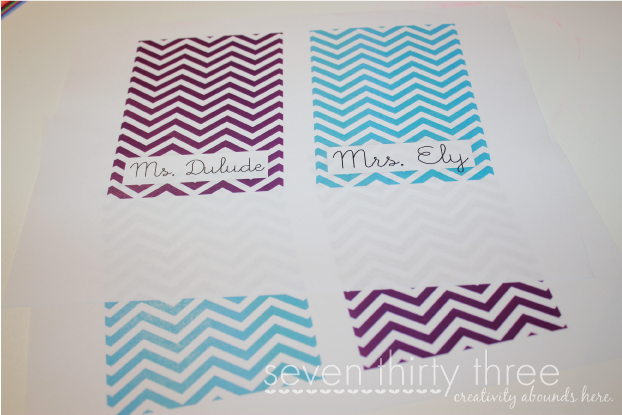 My samples were 3.5″ wide by 5″ long and were the perfect size. 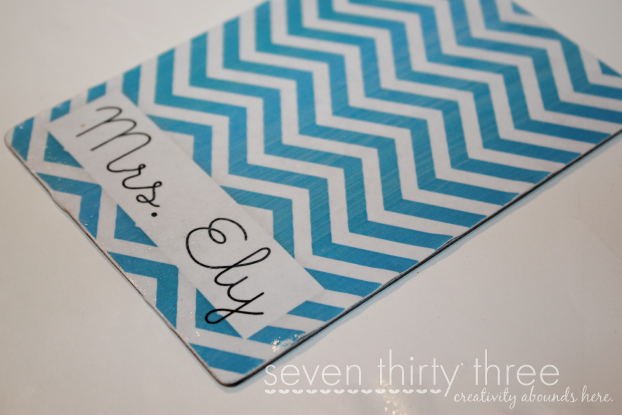 Cut your paper to just a smidge bigger than the “clipboard”. Brush a light layer of Mod Podge Matte onto the front side of the “clipboard”. Adhere the paper. 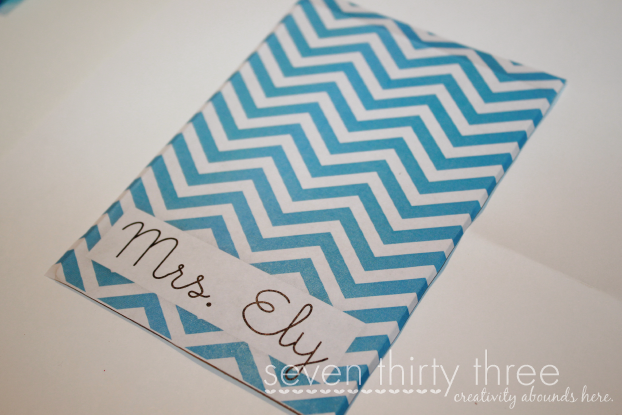 Work out any air bubbles and crease the paper along the edges. Using a fine grit sandpaper sand down the edges of the paper. Starting from the top and angling down and out (this is key when you do the backside because you won’t want to take off any of the front side paper or tear it up from the board). Once you sand all the edges, add another layer of Mod Podge Matte on top of the paper. Let dry completely and then turn over and repeat for the backside. 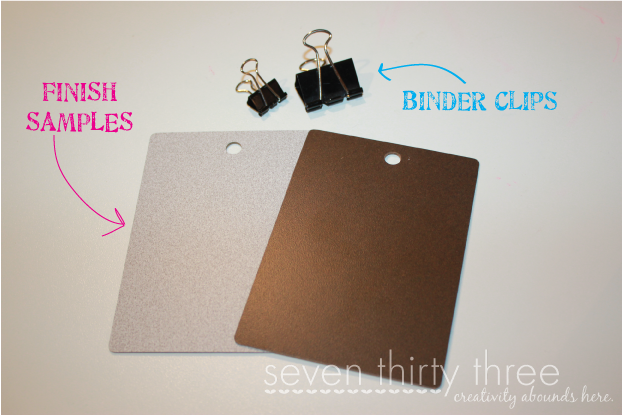 While the clipboard is drying, grab your binder clip and some paper. 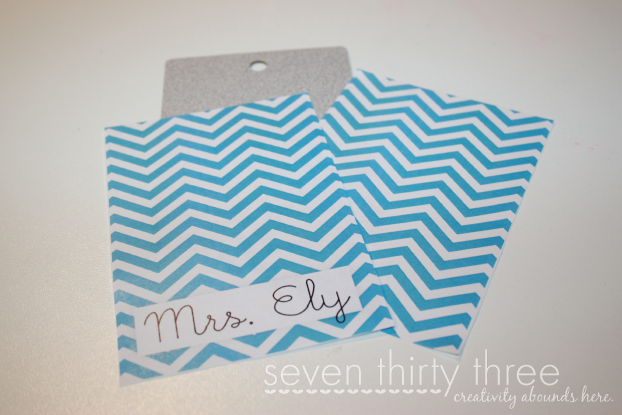 Cut a small strip of paper to size, add a layer of Mod Podge to the clip and adhere the paper to it. Set aside to dry. 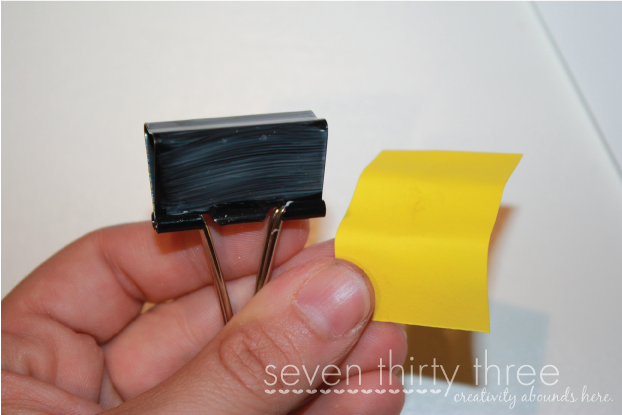 Skip this step if you are using a post-it notes. 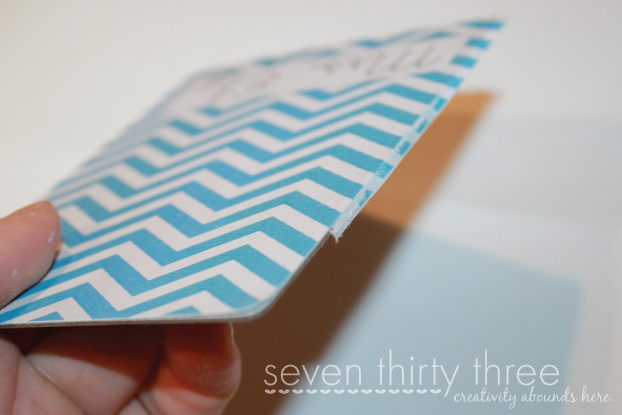 Using a paper cutter or scissors, cut up your paper (I used Astrobrights) to create your notepad. I went with 3″ x 3″ squares. 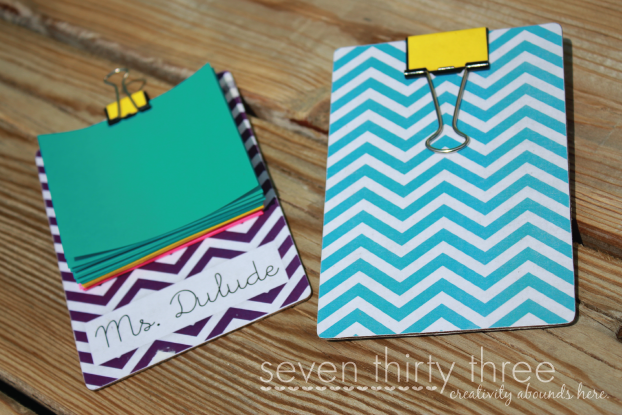 Put the pile of paper onto the clipboard and clip into place with the binder clip and you’re done! 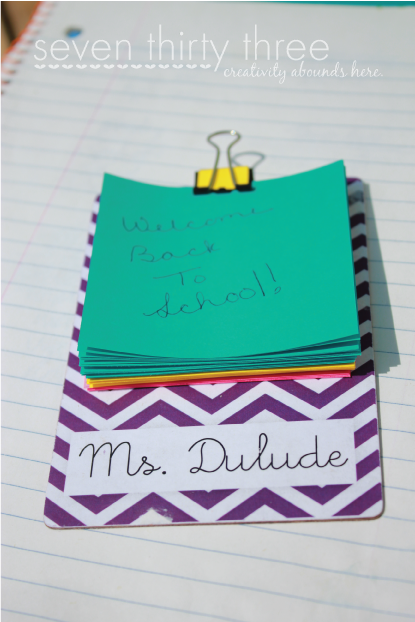 A super sweet Back-To-School gift for your child’s teacher.